I believe everyone has a marvel hero in their heart. My favorite marvel hero is Spiderman and as a fan of Spiderman, I want to tell everyone that he is my idol. So I will stick his cartoon character on my mobile phone, desk and wall. These stickers are not the same as the posters we usually see. They are made according to the original shape of the characters. The stickers made according to the original shape of the characters are called die-cut stickers. Die-cut stickers are indispensable to people who like hand-books and children`s fun. 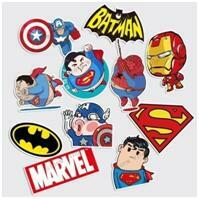 So today`s theme is the die-cut stickers that embody the heroes that heroes of Marvel. Die-cut stickers are very special among many kinds of stickers. No matter how strange the shape of you require, die-cut stickers can meet your requirements. 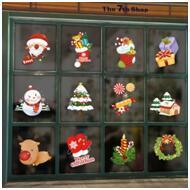 Let`s take a look at the die-cut stickers in detail. Let`s start with its characteristics die-cut stickers are the most creative and valuable one in printing and magazines, books often use this to make their designs stand out. 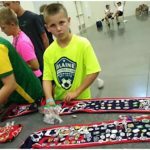 There is another point that we often overlook, as we know bumper stickers, windshield stickers are often used as commercial promotional materials, but I want to emphasize that die-cut stickers are more and protruding than other stickers. After understanding the characteristics of die-cut stickers, let`s take a look at what it`s used for. I think that`s the part that people care about the most. So without further ado, get to the point. First point, die stickers can help you see the expected effect of your artwork and also make your artwork present in the best way, whether color or shape. Second point, stickers with bright colors and beautiful shapes become a favorite toy for children, so teachers can use different styles of die-cutting stickers to reward children, as a way to motivate children and school can put stickers in art class. Children can draw models by themselves and make them into die-cut stickers, which increase children`s creativity and interest in learning. 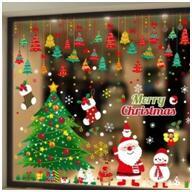 Third point, die stickers can be used to decorations for festivals other parties the atmosphere more intense, such as Christmas can be modeled as Santa and Christmas tree, and parties can be customized according to the type of Party die-cutting stickers. 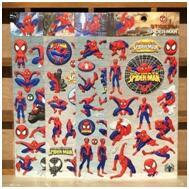 Fourth points, die-cut stickers are also indispensable collections for animation fans. The characters in animation will be made into various shapes of die-cutting stickers, such as Monkey King in the Dragon Balls, Monkey D Fluffy in the one Piece and so on. 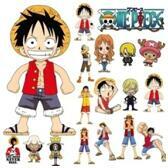 So when anime fans especially like an animation, they will collect such stickers as a hobby. After reading the above points, do you think die-cutting stickers are really attractive? Even if you don’t need it, you can use it as a collection. I know a very good company, so I think I must recommend it to you. GS-JJ is a professional custom sticker company. GS-JJ’s die-cut stickers use unique materials so the stickers are not only weather-proof but also scratch-proof, which means that you can not only stick them indoors but also outdoors or on a smooth surface. Not only that, if you want to make die-cutting stickers, you just need to send your artwork to GS-JJ Company and tell the stuff where you need to stick. 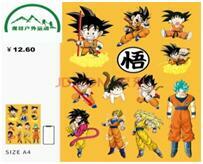 GS-JJ Company will offer you the best price custom stickers. And we don’t have the minimum order quantity requirement; to condense it into four words is custom stickers no minimum. So what are you waiting for, as long as you take the first step, the remaining ninety-nine steps hand it over to GS-JJ Company. 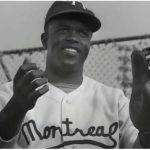 For any other information or detail, feel free to email us at info@gs-jj.comor you can call us at 1-888-864-4755.
nngmaepflyz,Some really nice stuff on this website, I enjoy it. tvftvwld,Your blog was informative and valuable to me. Thanks for sharing. Its really great and wonderful ever i found. Thank you for sharing this info.